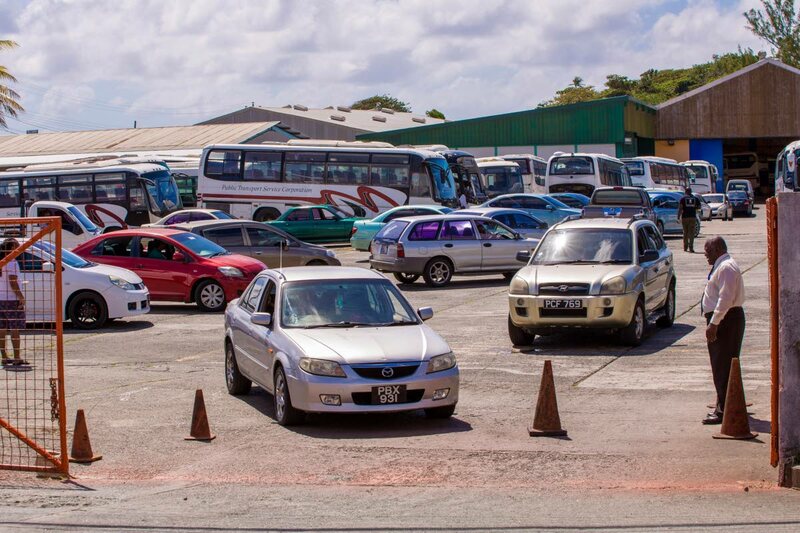 Long lines of motorists were the order of the day on Friday at the two inspection stations as motorists hustled to have their vehicles certified for the road and carrying an inspection sticker, to avoid a $5,000 fine. A five-month moratorium on the inspection on vehicles in accordance with Motor Vehicle and Road Traffic Act expired on December 31, 2018. At the garage run by Vehicle Management Corporation of Trinidad and Tobago (VMCOTT) in Shaw Park, inspections were proceeding following no work for two days last week as there were no stickers nor certificates available. “I have been here since 11 last night (Thursday) and waiting. They were out of inspection books after Monday, so persons inspected on Wednesday and on Thursday were told to return for their stickers and certificates, so what they are doing firstly is accommodating those who would have been inspected already. “The rest of us who are yet to be inspected will just have to wait… we had to pull numbers to secure our spots, so I am number 61 and they are yet to even call one,” said one motorist on Friday. A female motorist said that she had parked her vehicle in the line on Thursday evening to secure an early spot. “This is craziness… I came on Thursday, but my number was never called because of how far I was at the back by the end of day. In the face of the significant number of motorists still waiting to have their vehicles inspected and to collect certificates and stickers, Minority Leader Watson Duke called on the Government to “be reasonable” in enforcing the Motor Vehicle and Road Traffic Act, noting that the two inspection stations in Tobago are based on the western side of the island. “I want to ask (Transport) Minister (Rohan) Sinanan that he be reasonable in his approach in enforcing the law. These are law-abiding citizens who wish to obey the law but due to the fact there are limited stations that certify vehicles, they are without luck,” Duke said. Sinanan has said there would be no new deadline for inspections. On Friday he was optimitic that people who were yet to have their vehicles inspected, would be able to get that done soon.He said he stock of inspection books at locations have been increased but there may still be some logistical problems because of the volume of people coming to get their vehicles inspected. Secretary of Infrastructure, Quarries and the Environment, Kwesi Des Vignes, commenting on the long lines at the approved inspection garages in last week, said he could not understand why drivers would have waited until the last minute to get their affairs in order. “People had five months. Up to three weeks to a month ago, there was no mad rush as we are seeing now. There would always be problems because we only have three testing stations in Tobago, which also includes the Licensing Department. “Tobago garages were called upon to apply to become testing stations, but they have not taken up the opportunity to provide these services,” he said. President of the Transport and Industrial Workers Union, Tedd Taylor told Newsday Tobago that all PTSC buses on the island have received inspection stickers. Reply to "Long lines of vehicles for inspection"